The Brandywine River Museum hopes to beckon visitors by combining its idyllic setting with masterful art and music. On Thursday evening, the museum will present “Music on the Brandywine,” an opportunity to peruse the galleries and enjoy musicians from Astral Artists, a nonprofit organization committed to empowering emerging classical musicians to ensure a cultural legacy for generations to come. The performers will be soprano Kathryn Guthrie Demos and pianist Andrew Hauze. A winner of the Astral Artists’ 2012 National Auditions, Demos has been praised for her performances of the traditional operatic and concert repertoire as well as her vibrant, sharp-witted interpretations of contemporary works. She recently made her New York City Opera debut in Rufus Wainwright’s American première of Prima Donna as Marie, performing an Act II aria that “outshone any other single moment on stage,” one reviewer said. Hauze is director of the Swarthmore College Orchestra and a graduate of the Helen F. Whitaker Fund Conducting Program at the Curtis Institute of Music. Passionate about vocal music, Hauze served as a vocal coach and accompanist for the Florence Voice Seminar for four summers and has served as vocal coach at the Bryn Mawr Conservatory of Music and for the CoOperative Program at Westminster Choir College. He holds fellowship and choirmaster certifications from the American Guild of Organists. The galleries will open at 7 p.m. The current exhibit is “Picturing Poe: Illustrations Inspired by Edgar Allen Poe’s Stories and Poems,” which runs through Nov. 15. Édouard Manet, Gustave Doré, Paul Gauguin, and James Ensor are among the more than two dozen artists featured, providing interpretations of Poe’s work ranging from the seemingly straightforward to the abstract. Tickets, which include light refreshments (a cash bar will be set up), are $15, members and students; $25, non-members. 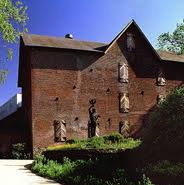 They can be purchased by calling 610-388-2700 or visiting http://www.brandywinemuseum.org.